These days, everyone is busy, which makes convenience a top priority. When it comes to getting high-quality dental care, it makes sense to visit a practice that has multiple specialists all in one place. Keep reading to find out how you benefit from having access to a full team of specialists across a variety of fields of dentistry. 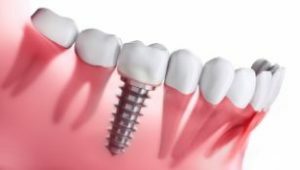 And, if you’re missing teeth and interested in dental implants, you’ll also learn why it’s so important to have a surgical specialist (or implant dentist) perform your implant procedure. What Kind of Foods Should You Eat After You’ve Gotten Dental Implants? If you’re missing teeth, dental implants are one of the best investments you can make in your oral health. But, like any investment, you want to take care of it to make sure it serves you well for as long as possible. That includes proper care and maintenance in the short-term as well as the long-term! 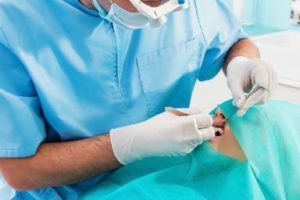 In addition to keeping the area around your implant clean, your post-procedure diet will also make a big difference in your success. In this blog, you’ll find out what the best dietary choices are after getting implants and get some great tips to keep your implants strong and healthy for many years! Comments Off on What Kind of Foods Should You Eat After You’ve Gotten Dental Implants? They say that age is just a number, and that’s largely true when it comes to orthodontic treatments. 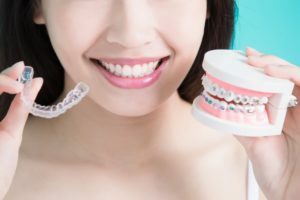 More and more adults are deciding to take charge of their smile and improve their oral health through Invisalign or traditional braces. Many young people in high school and college are also undertaking the journey to a straighter, healthier set of pearly whites. No matter how old you are, it’s likely that there is an orthodontic treatment that is perfect for your circumstances. Let’s take a moment to compare traditional braces and Invisalign. Depending on your lifestyle and personal preferences, one or the other may be a better fit for you. In decades past, individuals with misaligned teeth only had one option for straightening out their smile. They had to visit an orthodontist to receive traditional metal braces. 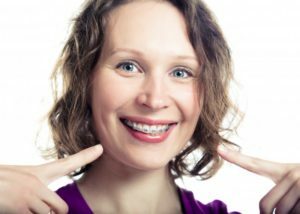 Today, metal braces are still a popular choice for both adults and adolescents. But other options are available as well, including Invisalign and mail-order clear aligners. Let’s take a moment to discuss the pros and cons of each of these choices. Missing teeth can cause a host of oral health problems, from bone deterioration to TMJ issues and beyond. However, one of their most obvious consequences is aesthetics. Gaps in your smile may cause you to hold back from smiling when you’re meeting new people or when one of your friends wants to take a photo of you. Let’s talk about how dental implants in Parsippany can restore your smile’s appearance and give you the confidence you need to thrive in any social situation. Getting dental work done in another country is one of those things that sounds good when you first hear about it. Who wouldn’t want to take a vacation, enjoy some time on the beach, and spend less money on dental work at the same time? Unfortunately, the reality can have serious consequences that you might not be aware of until it’s too late. 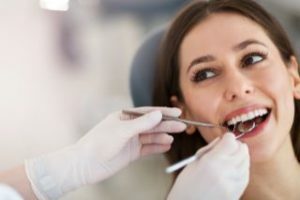 In this blog, you’ll learn about the risks and dangers of “dental tourism” and the importance of getting work done by a well-trained and qualified Parsippany cosmetic dentist instead. Did you know that one of the first traits people notice when meeting others for the first time is their smile? Having a beautiful smile can give you a huge leg up when speaking others whether it be friends, new coworkers or new romantic partners. With that said, there are other ways teeth whitening in Parsippany can improve your life, and they aren’t solely aesthetic. If you’re not sure how you can benefit from teeth whitening, you’ll want to take a moment to read this blog post! A Dentist Reminds You to Use Your Dental Insurance before It Expires! It’s nice to have dental insurance. If you ever have a severe toothache or you accidentally damage one of your pearly whites, you know that your coverage is there to help you out. But your policy does more than cover restorative work and emergencies; in fact, its focus is mostly on prevention. 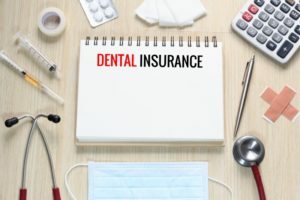 If you aren’t visiting your dentist in Parsippany twice a year for routine appointments, you aren’t taking full advantage of your coverage — worse yet, you’re actually losing money! Let’s talk about how your wallet and your smile can reap the greatest benefits possible from your dental insurance. Comments Off on A Dentist Reminds You to Use Your Dental Insurance before It Expires! Questions About Implant Dentures in Parsippany? Get Answers to FAQs! Do you wear dentures? Or are you planning to get dentures soon? If so, you may be concerned about the drawbacks that come with them, such as not being able to eat your favorite foods, sore spots on your gums and “slips” during conversations. Fortunately, there’s a solution that can dramatically improve all of these issues: implant dentures in Parsippany. If you’ve heard about what a great option this is but have some initial questions, you’re not alone. 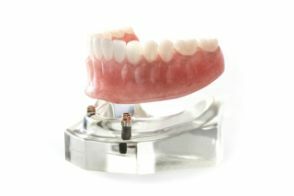 Keep reading for answers to the most common questions people have about implant dentures. You’ll be one step closer to having a new smile that looks, feels and functions better than ever! Comments Off on Questions About Implant Dentures in Parsippany? Get Answers to FAQs! Your Cosmetic Dentist Prepares Your Smile for the Big Day! Summer is wedding season! 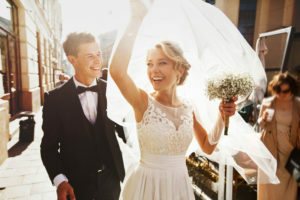 Are you saying “I do” this summer? If so, congratulations! Even if you’re just going to be a guest at a friend or family member’s wedding, you have a lot to look forward to. Still, if you have serious aesthetic flaws in your smile, you might be a little apprehensive about all the cameras that you know are going to be at the wedding. Fortunately, your cosmetic dentist in Parsippany offers a few treatments that can transform your pearly whites before the big day. 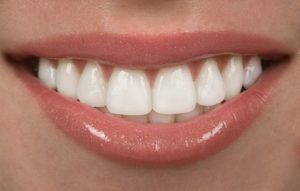 Comments Off on Your Cosmetic Dentist Prepares Your Smile for the Big Day!